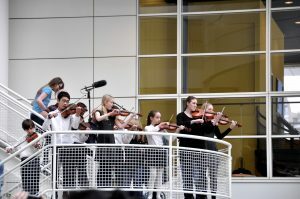 The 2018 Fair will be the third appearance of ISH Orchestra & Choir at City Hall. Performers are aged 11 to 18 and their programme includes songs by Sam Smith and Bruno Mars. The music of 17th C Henry Purcell also features as part of their preparation to perform the opera Dido & Aeneas at school in July. Since last year’s Fair, ISH students have represented The International School of The Hague at numerous venues including the World Forum Theatre in The Hague and at international schools in New York and Washington DC on their USA Tour. ISH Orchestra are currently involved in a project with the Rewire Festival and local composer of electronic music Rob Kanters. 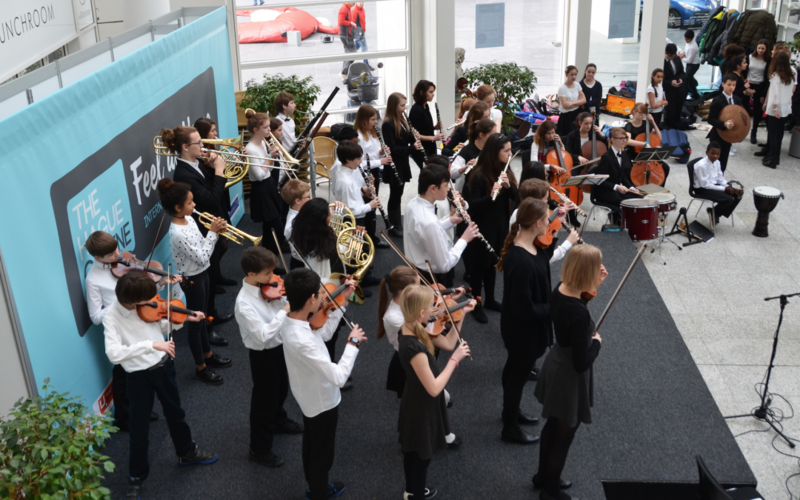 ISH Orchestra & Choir will perform on the main podium at the Fair, leading up to the Official Opening at 12 o’clock, for which they will perform a fanfare composed by an ISH student. The ISH students form part of an engaging and varied culture programme on the Main Podium.